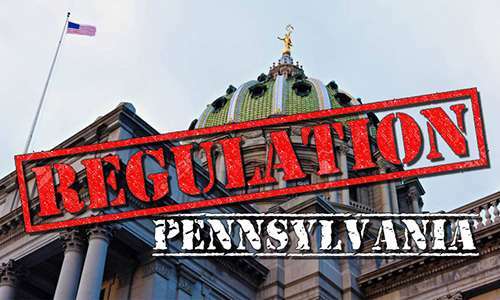 The chances that an online-gambling legalization bill could become law in Pennsylvania during 2017 improved today when two separate State Senate committees approved a legalization measure. However, the bill, as it currently stands, includes excessive tax rates that proponents claim may stifle the would-be online services, including online poker, well before they’re ever launched. Today’s twin actions by the two committees will bring the measure, formally known as House Bill 271, up for a full Senate vote as early as Wednesday, May 24th. The bill cleared both committees by decisive margins. First, it passed the Senate Community, Economic & Recreational Development Committee by an 11-3 tally. Late on Tuesday afternoon, it also passed the Senate Appropriations Committee on a 24-2 vote. Should HB 271 pass a full State Senate vote on Wednesday or a later date, it would then return to the PA Assembly, since the Senate version of the bill carries significant amended language from the original Assembly-passed version of the bill. The PA Assembly may be able to bypass additional committee votes, if the bill is approved by the Senate and returned to the Assembly floor. The biggest bugaboos within HB 271 are the excess tax rates called for within its wording, led by an onerous 54% rate to be levied on gross gaming revenue from interactive (online) slots and table games. That rate is likely to chill investment in the potential online market by many of the 10 or 11 of the state’s 12 licensed casinos that are eligible to also apply for online-operator licenses. Those 12 slots could be awarded to out-of-state operators should any land-based casino licensee — say, Sands Bethlehem — declines to participate in the future PA online market. Online poker, also included in the bill, would be taxed at a 16% rate. However, as seen in neighboring New Jersey, the vast majority of online revenue is likely to come from the online slots and table games, such as blackjack. It’s entirely likely that the state could succeed in selling all 12 of the online-slots licenses available as called for within this bill, but be left with half or more of the online-poker approvals never issued or applied for. All that’s because the hefty tax rates are in addition to the just-as-hefty, up-front application fee of $5 million… per category. That’s $5 million for the online slots and table games license and another $5 million for an online poker license. 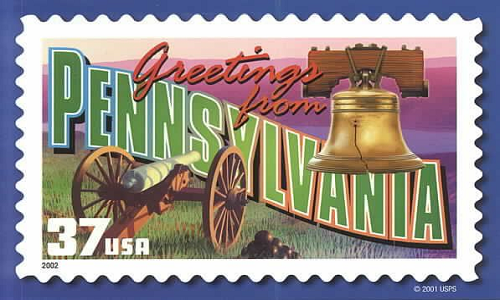 Given that hefty front load, it’s hard to imagine that more than a couple of operators would be willing to offer online poker to Pennsylvania residents. HB 271, as it currently stands, also includes some of the other issues which have snarled the state’s ongoing debate this spring over online-gambling legalization. The bill includes language authorizing tablet-style online slots gaming at major Pennsylvania airports, but it does not include legalization language for a rival gambling expansion in that state, that of video gaming terminals at taverns and related outlets. The bill authorizes Pennsylvania to conduct online-lottery sales if it chooses to do so. And, because this is an omnibus gambling-expansion bill, the matter of daily fantasy sports (DFS) legalization is also included. DFS would be approved within this bill, and its operators would receive a significant tax break when compared the bill facing online-slots and online-poker providers. DFS operators seeking approval in Pennsylvania would have to pay the lesser of $50,000 or 7.5% of its previous year’s adjusted revenue from its DFS customers in the state. An advance deposit of $5,000 is required no matter what. Once fully licensed and approved, DFS operators’ future tax rate will shift to a flat 12%. We’ll be back with the latest as this legalization bill receives a full State Senate vote.